Alexis has written 34 article(s) for InMenlo. 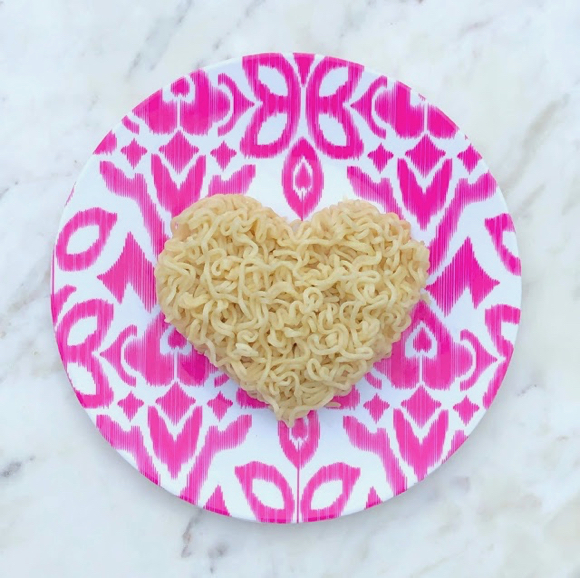 Easy Valentines from the grocery store! Typically Valentine’s Day is all about flowers and candy to express our love. Often times life gets in the way and the last minute scramble for a gift, means exorbitantly priced roses and chocolates. 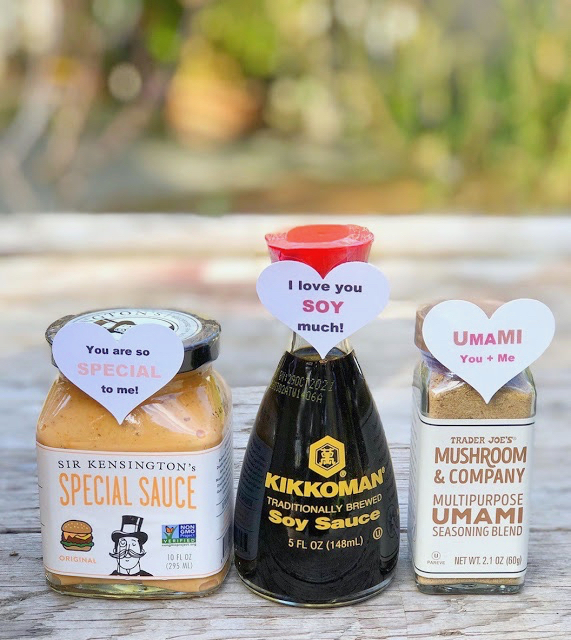 Well don’t worry, there are lots of amazing, fun and useful things you can pick up at the store that will make them laugh and swoon on February 14th. 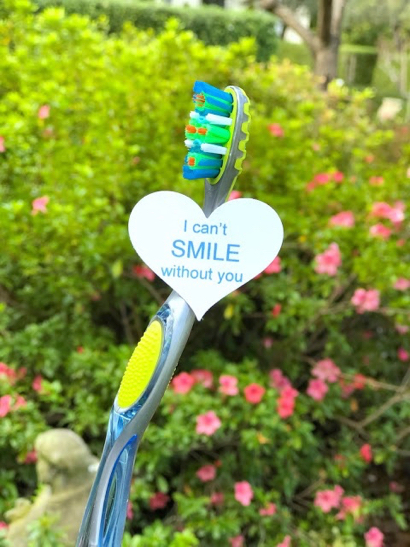 Everyone should be grinning on this day of love, and Barry Manilow said it best, isn’t your Valentine the reason you smile? Keep it fresh with a new toothbrush! It is amazing what switching out a few letters will do! 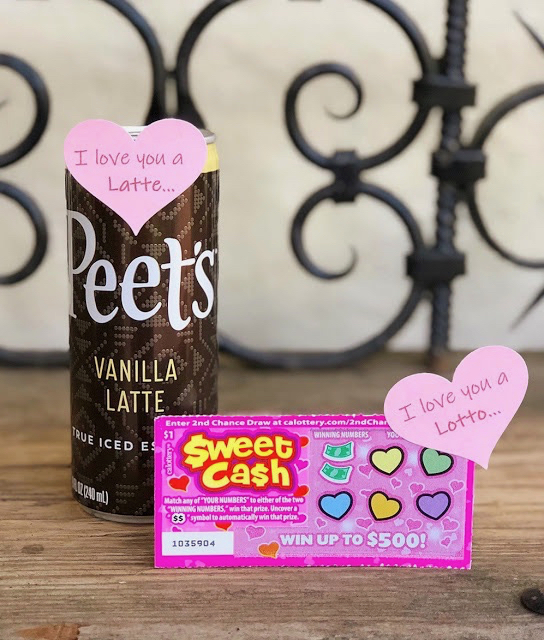 Whether you love them a “latte” or a “lotto”, they will appreciate a coffee or a chance to win the big bucks. And why go out to a restaurant when you can have a Ramen-tic dinner (top photo) at home? Menlo Park resident Alexis Murphy’s website is Jac o’ lyn Murphy; You can also follow her creative thoughts on Instagram.